Hattori Hanzo Collection Hand Forged Carbon Steel "Bride's Sword"
Hand forged carbon steel blade and is razor sharp. Faux leather wrap with authentic rayskin. All of the fittings and look are an exact replica of the bride's sword from Kill Bill. This is the finest replica of the Bride's sword available anywhere on the internet. 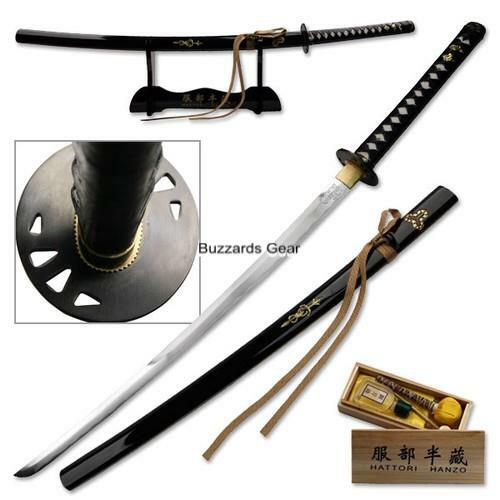 Complete with Hattori Hanzo Maintenance Kit! !